In some ways, it's an ominous pitch. 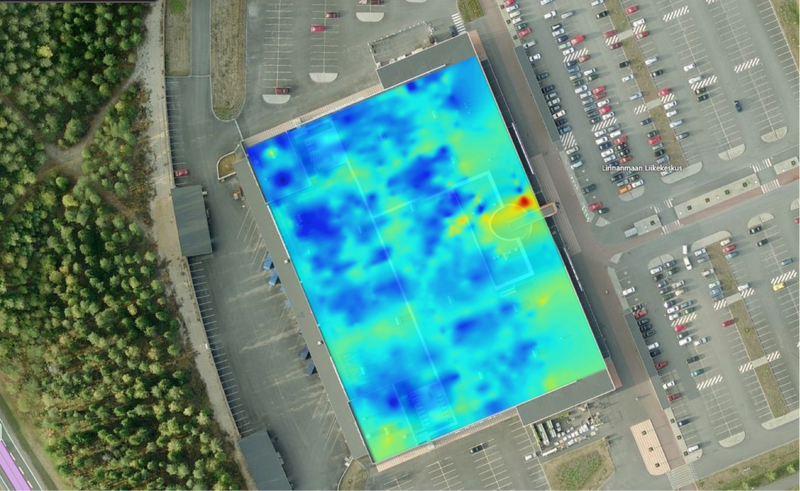 By measuring the "magnetic fingerprint" of any building in the world, the Finnish company IndoorAtlas can conjure up a startlingly precise indoor map of any building. It's technology that sci-fi has dreamt of for decades. But instead of surveillance, it's being used for shopping. According to The New York Times, the app is a lot like the innate ability of animals to detect variations in Earth's magnetic field. But in this case, it's your smartphone that's doing the detecting—your compass records magnetic variations that arise, for example, from the steel used in a building's structure. As you walk through a building with your phone, IndoorAtlas collects information about the magnetic anomalies around you. Using that data, it can create a model of nearly any building, right down to an accuracy of just a few feet. So, how does this startup plan to monetize this remarkable technology? It's all about shopping. IndoorAtlas is already offering the service to stores in Finland—shoppers can list the items they need, then receive a plan of attack that tells them, shelf-by-shelf, how to get through the store fastest. They're hoping US-based big box stores will follow. The business plan of InsideAtlas is somewhat unorthodox: It will measure and store your building's magnetic fingerprint in its computing cloud. Keeping it private, however, will cost $99 a month, per building. "It's free if you want it public," he said.